ZIMBABWE – Parliamentarians’ Network Against Corruption has reportedly demanded that Zimbabwean President Robert Mugabe declare his assets first before making it mandatory for all public officials to do so. 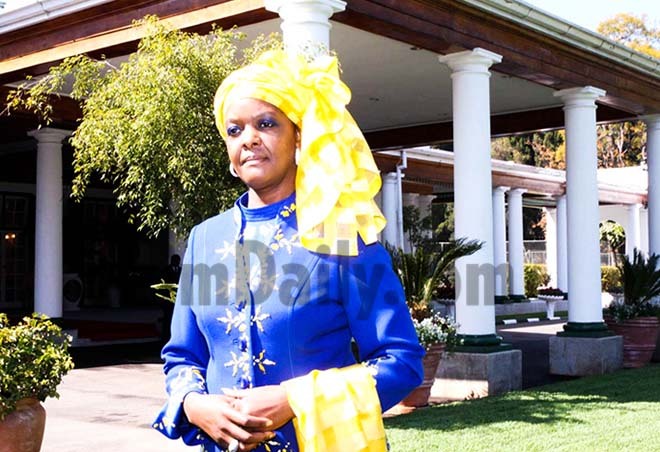 Harare – Zimbabwean First Lady Grace Mugabe has reportedly demanded an investigation into the debacle that resulted in President Robert Mugabe reading a wromg speech at the opening of parliament last week. The incident caused humiliation for Mugabe, 91, with the opposition calling for his resignation, saying he had become “too old” to rule the country. Mugabe’s spokesperson, George Charamba, blamed a mix-up in Mugabe’s office for the error. “The mix-up happened in his secretarial office, therefore the delivery in parliament should be set aside. The error is sincerely regretted and corrective measures are being considered,” Charamba was quoted as saying at the time. Mugabe’s speech was the same one he delivered during a state of the nation address (Sona) on August 25, in which he pinned his hopes on China to help revive Zimbabwe’s struggling economy. Following the fiasco, News Day reported on Tuesday that Grace wanted a “massive clean-up” in Mugabe’s office. “There will be blood on the floor. Dr Amai (Grace) has demanded a clean sweep of the OPC (Office of the President and Cabinet), especially everyone who deals with his speeches,” a source privy to the goings-on was quoted as saying. The report also quoted other sources as saying that Mugabe “went through the correct speech” a day before the opening on parliament, “made the necessary adjustments” and was satisfied that all was in order. It is believed the speech was swapped at the parliament building. “The idea was to not only to embarrass the president, but to show the world that he [Mugabe] is not only old, but also incapable of presiding over the affairs of the State,” the source said. News Day reported last week that head were expected to roll soo of the president and cabinet amid reports that a witch-hunt had already been launched to sniff out “culprits” who caused Mugabe’s embarrassment. The report said a number of officials had been summoned to explain the gaffe.